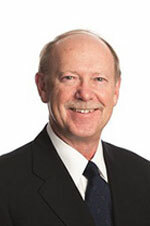 W. James O’Shea has been a member of the Board of Directors since 2015. For nearly a decade, Mr. O’Shea held leadership positions at Sepracor, Inc. He served as President and Chief Operating Officer, where he was responsible for building the organization’s commercial infrastructure and led the successful launch and commercialization of Xopenex® and Lunesta®. He also served as Vice Chairman. Prior to Sepracor, Mr. O’Shea was Senior Vice President of Sales and Marketing and Medical Affairs for Zeneca Pharmaceuticals, a business unit of Astra Zeneca Plc. While at Zeneca, he also held management positions of increasing responsibility in international sales and marketing in the US and UK. Mr. O’Shea is a past Chairman of the National Pharmaceutical Council and serves on the board of directors of BTG Plc, ProStrakan Group Plc, and Trevi Therapeutics, and also is Chairman of Cardiome. Mr. O’Shea is a graduate of Liverpool Lord Byron University. He also received an honors degree in Applied Physics from the Institute of Physics in London.